Three Beys from the exclusive Beyblade Metal Fusion collectors' editions for the Nintendo DS will be launched at select retailers in the U.S. and Canada by Hudson Entertainment, the North and South American subsidiary of video game developer HUDSON SOFT. The Beys included in the Beyblade Metal Fusion collection are the "Cyber Pegasus 100HF" Edition will be available at Toys "R" Us; the "Bakushin Susanow 105F" Edition will be available at Walmart; and the "Counter Leone D125B" Edition can be found at other major retailers this fall. 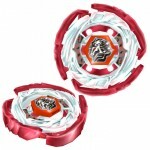 Each collector edition will come with an exclusive in game character and toy Beyblade. 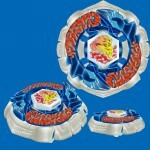 These exclusive Beyblades have a unique metal facebolt not available anywhere else, and also allow for enthusiasts to customize their Beyblades to be uniquely their own. "The BEYBLADE franchise is incredibly popular with kids, so we're happy to be able to offer these limited edition toys to go along with the game," said Mike Pepe, director of marketing for Hudson Entertainment. 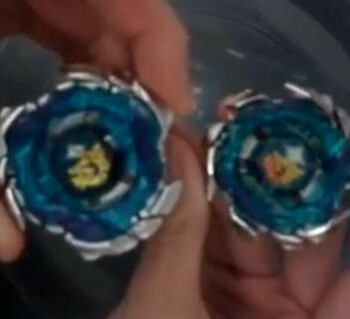 "In addition, the limited edition bonuses that can be used in the actual game make for an even more special Beyblading experience that will only be available to a limited few." Also included with these collectors' editions of BEYBLADE: Metal Fusion are special in-game characters made exclusively for purchasers. Players with access to the limited edition versions of the game can log online from their Wii using Nintendo Wi-Fi Connection to compete against different players and download their counterpart's unique characters and Beyblades to add to their own DS collection. 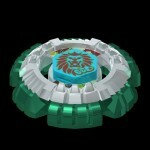 In BEYBLADE: Metal Fusion, players compete against 19 other Beybladers in the World Championships. With customizable stadiums, players can choose from a variety of terrains and shapes for battle. Players will also have the chance to become the No. 1 Beyblader by utilizing special attacks and winning strategies. 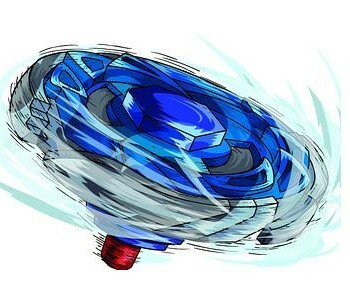 Featuring voice commands using the DS microphone and supporting 2-player competition via the Nintendo Wi-Fi Connection or wirelessly using a single-card, BEYBLADE: Metal Fusion lets players battle for the rights to be the best. The games feature actual characters from Nelvana and d-rights Inc.'s BEYBLADE Metal Fusion animated television series, which launched in Canada in May 2010 on YTV and debuted in the United States on Cartoon Network in late June. Hudson Entertainment is also simultaneously releasing a version of the game for Wii™ entitled BEYBLADE Metal Fusion – Battle Fortress where players find themselves in the midst of a disappearance of the world's most powerful Beybladers. Sucked into a giant fortress, players must battle robot bladers and discover the mystery behind the abduction. BEYBLADE Metal Fusion – Battle Fortress is equipped with four-player "Battle Mode" competition allowing players to face off against three other human or AI controlled enemies, or play co-operatively with allies.